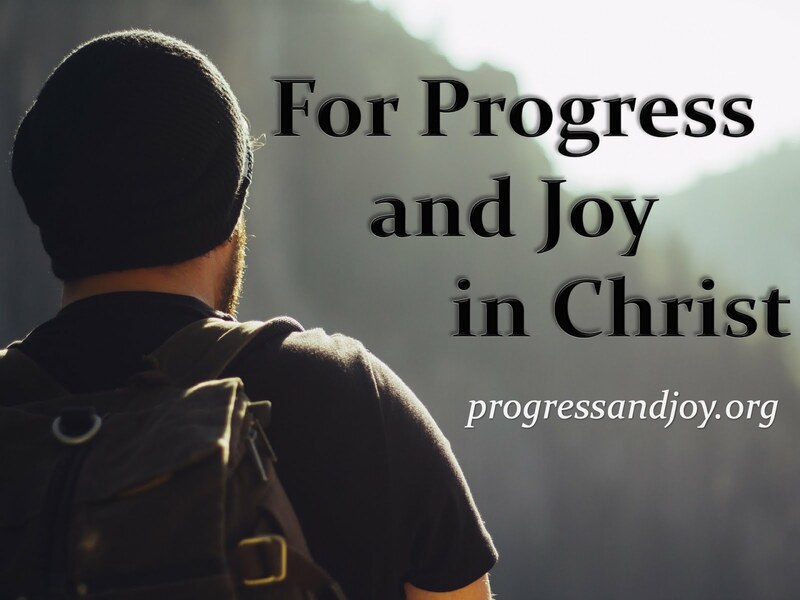 Progress and Joy: 1 Samuel 17:45-49 The Battle is the Lord's! David is well-known as a man of war. He was a mighty warrior who had an abundance of victories. That reputation first began here as a young man who went up against the giant champion of the Philistines, Goliath. We were told that King Saul was not only handsome, but he was head and shoulders taller than all of the Israelites. David, on the other hand, was a ruggedly handsome young man, but did not have near the stature of a Saul. Yet, he was brave enough to go up against the over-nine-foot Goliath. He name seems perfect for a giant, doesn’t it? When the little shepherd boy, David, showed up and decided to face the giant, he faced much harassment. His opponent, who had been mocking all the armies of Israel, saw David and began to badger him as well. You would expect a mighty warrior to be able to taunt his opponent, wouldn’t you? You would even expect him to do so. We would be right to expect it because that is exactly what Goliath did. The enemy is always harassing us. He is seeking to devour us at every moment. We do not fight with flesh and blood, but against principalities and powers, against the rulers of darkness. Our battle is spiritual and constant. Satan and the fallen angels, better known as demons, are our enemies. They stand on the other side of the hill and shout obscenities at us. They taunt us and tempt us to unholy wrath. They harass us with all they can muster up within themselves. But, we can overcome. Darkness cannot overcome light. Light always shines forth. 1 John 3:8 tells us that Christ appeared in order to destroy the works of the Devil. James tells us that if we resist the Devil, he will flee from us. We can put on the whole armor of God and stand against the wiles of the Devil. He is no match for the Christian because of the victory that Christ has secured for us over sin, death, and the adversary. You would expect the enemy to harass you. What you would not expect is an ally to mistreat you. Yet, David’s own camp, his own brother spoke harshly to him in order to discourage him. What do you do when someone who is supposed to be an ally works against you? What does a Christian do when another Christian discourages them from serving the Lord? This is not an easy issue to resolve. Let me give you some suggestions on how to handle it. First, I think that the person who is mistreating you should be confronted. The Lord is clear in Matt 18 about how to deal with a sinning brother or sister. You first go to them and talk about it, just the two of you. If they do not listen to you, but continue to harass you, then take one or two other believers with you to confront the person. If they will still not listen, then the matter must be taken to the whole church. If they do not listen to the church, then they must be treated as an outsider. A second suggestion I would give to you (in the meantime) is that you must pray. The Lord hears our prayers and answers us when we call to him. He will give us strength to endure. Third, arm yourself with the word of God. When confronted with opposition, the Christian should not shrink back. That is the opportune time to grow even stronger in your faith and in the Lord. Immerse yourself in His perfect will, the instruction of the Lord. The last thing I will say is rejoice. Now that is hard to do, but powerful. David was in a physical battle that he made a spiritual battle. He told his enemy, “You come against me with sword and spear and javelin, but I come against you in the name of the Lord Almighty. . . .” We must do the same for the battle is the Lord’s! David gave this battle over to the Lord. He knew that he could not win the battle on his own, but he also knew that if the Lord fought for him he would win. He could be brave, bold, and confident because he was not putting his faith in himself, but in the Lord. We must be bold as believers, but our boldness should be with discretion. We should not act ignorantly thinking that God will protect us. What we should do is boldly act on what God has promised in His word. How can we know what His will is if we do not look into His revealed word on the pages of Scripture? He has told us what is good and right, but do we look and learn? David knew that he was in the right because of the situation, because of his background, and because the Holy Spirit had come upon Him. Therefore, he could be brave, bold, and confident. I think that many Christians shrink back when faced with opposition or pressure because they do not know what the Lord has said and they are not in tune with the Holy Spirit. The last point I would like to make is that this is truly of an account of faith. We are told that, “As the Philistine moved closer to attack him, David ran quickly toward the battle line to meet him. Reaching into his bag and taking out a stone, he slung it and struck the Philistine on the forehead. The stone sank into his forehead, and he fell facedown on the ground.” David gained a great victory that day, one that the people would sing about for decades. He gained prestige that would last for ages. Even the secular world today, some 3,000 years later, know well the story of David killing Goliath with only a sling and a stone. The smaller, weaker man defeated the bigger, stronger opponent. How did he do so? Well, we know that he gave the battle to the Lord. I have no doubt in my mind that God guided that stone to its destination – Goliath’s forehead. Let’s also consider a couple more things. David used the resources that God had given him to win this battle as well. He had training as a shepherd boy fighting wild animals in order to defend his flock. David relied on that experience and training. David also had with him a sling and a stone. These would be his tools for battle. He did not seek out those things that he had no business using like armor, shields, and swords. He had no training with those weapons. But he knew how to sling a stone and that is exactly what he did! Likewise, I think Christians should use what the Lord has given them. Count their blessings and rely on the resources God has bestowed upon them. Lastly and most importantly, David put his faith in God. This is made clear in the story isn’t it? We should exercise the same confident faith in God’s protection. The battle is the Lord’s, and faith is the victory. Faith gives us access into all of the blessings of God.